Zimfest 2014 breaks new ground with an opening night concert featuring Zimbabwe’s hottest band on the international “world music” circuit, Mokoomba! The Zimfest Organizing Committee is proud to present this terrific new Afro-fusion group who have been making a name for themselves worldwide. The band of six young men hails from Victoria Falls, home to the Tonga people, and combines traditional and modern instruments with a rich blend of rhythms. Their vibrant sound, largely originating from spectacular lead vocalist Mathias Muzaza, draws on traditional Tonga music, while also embracing the diverse music cultures of southern Africa. 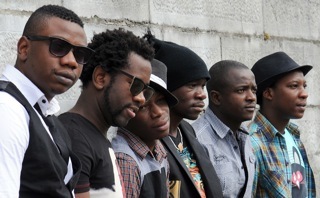 Mokoomba will perform at 9 PM on Thursday night, July 24th, following the free Zimfest Opening Ceremony in Schneebeck Hall in the University of Puget Sound Music Building. 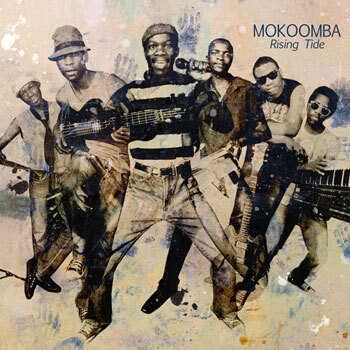 Unlike the Thursday evening outdoor concerts of previous years, Opening Night with Mokoomba will be a ticketed indoor concert, with an advance purchase price of $20 for adults. Tickets will go on sale on the 2014 Zimfest website (2014.zimfest.org) when online registration opens on May 1. Mark your calendars now – we think you will find the $20 ticket a bargain price to pay for one of the premier African dance bands on the global stage!